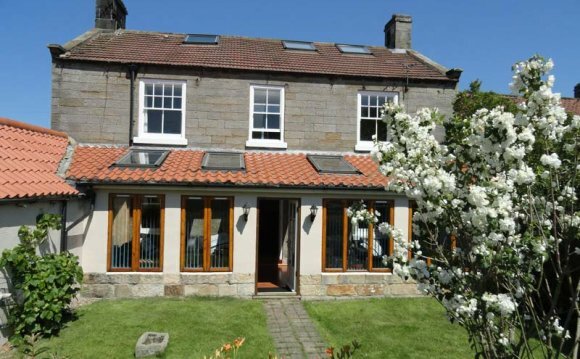 Please find below a selection of self catering holiday cottages in Sleights. Discover the moors and coast with a stay in a Sleights holiday cottage, nestling in the attractive rural village of Sleights just four miles south-west of Whitby. You'll find everything you might need during your holiday, with two pubs serving food, a couple of shops, Post Office and delightful riverside tea rooms at the local garden centre. Walkers will delight with the choice of routes on offer, many being straight from the doorstep. The Esk Valley stretches out before you and is one of the most stunning and varied dales in the North York Moors National Park. Alternatively, head across to the spectacular Heritage Coastline - whichever area you choose, incredible scenery is guaranteed! The villages of Grosmont and Goathland ('Aidensfield' in TV series Heartbeat) are just down the road - both convenient spots to climb aboard the North Yorkshire Moors Steam Railway. Or enjoy a round of golf or boating on the river at the nearby village of Ruswarp. If you crave a little culture, explore the lovely fishing town of Whitby, with Whitby Abbey and the Captain Cook Memorial Museum just two of the many attractions. You can also enjoy boat trips from down at the harbour or spend the day on the beach. Robin Hood's Bay is also well worth a visit, one of the region's most picturesque seaside villages. And following a day's adventure, what better place to retire and relax than one of our Sleights holiday cottages!